In Illinois, more than 50% of prisoners eventually return to prison within three years. [iv] What’s more, recent research shows that prison cycling — the constant cycling of people in and out of prison in neighborhoods like Chicago’s west and south sides — may actually lead to more crime. [v] Another study indicates that incarceration, at best, likely had zero effect on crime between the years of 2000-2013. At worst it may have increased crime. [vi] The War on Neighborhoods traces the broad, generational impacts of concentrated incarceration across Chicago’s Austin community, arguing that punitive policies, and the absence of real investment in human and community development, has kept Austin, and other urban neighborhoods across the U.S., in a spiral of disadvantage. [i] Authors' tabulation of Circuit Court of Cook County convictions between 2005 and 2009. Data made available by Chicago Justice Project, “Convicted in Cook,” Chicago Justice Project, http://convictions.smartchicagoapps.org. The term "million dollar blocks" was coined by Laura Kurgan and Eric Cadora and their team of researchers. Research briefs and maps illustrating this concept can be found on Columbia University’s Center for Spatial Research (formerly the Spatial Information Design Lab) website (http://c4sr.columbia.edu). See, for example, Eric Cadora et al., Architecture and Justice (New York: Spatial Information Design Lab, Columbia University Graduate School of Architecture, Planning and Preservation, 2006), http://www.spatialinformationdesignlab.org/MEDIA/PDF_04.pdf. [ii] Robert J. Sampson and Charles Loeffler, “Punishment’s Place: The Local Concentration of Mass Incarceration,” Daedalus 139, no. 3 (2010): 20–31. 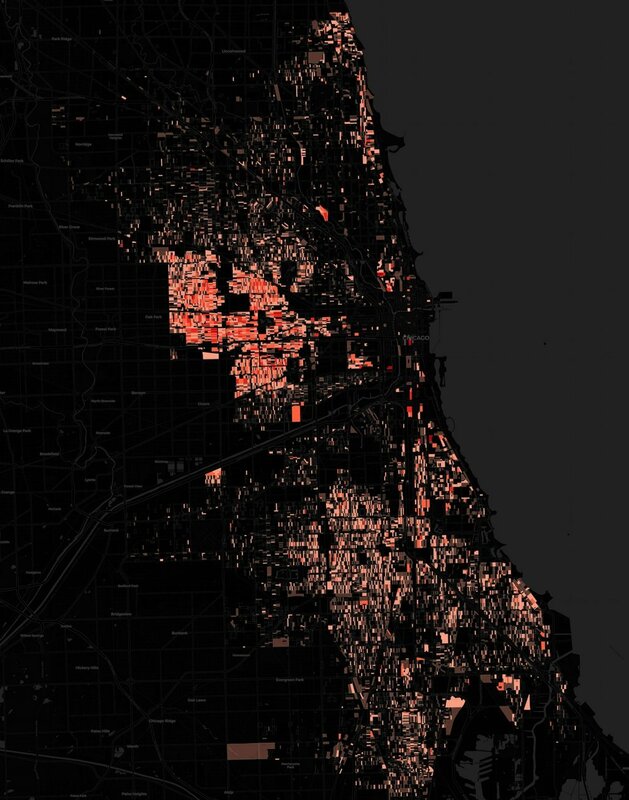 [iii] Lise McKean and Jody Raphael, Drugs, Crime, and Consequences: Arrest and Incarceration in North Lawndale (Chicago: North Lawndale Employment Network and Center for Impact Research, 2002), https://www.issuelab.org/resources/331/331.pdf. [iv] Robert J. Sampson and Charles Loeffler, “Punishment’s Place: The Local Concentration of Mass Incarceration,” Daedalus139, no. 3 (2010): 20–31. [v] Todd R. Clear et al., “Predicting Crime Through Incarceration: The Impact of Rates of Prison Cycling on Rates of Crime in Communities,” document no. 247318, National Institute of Justice, 2014, https://www.ncjrs.gov/App/Publications/abstract.aspx?ID=269418. [vi] Oliver Roeder, Lauren-Brooke Eisen, and Julia Bowling, What Caused the Crime Decline? (New York: Brennan Center for Justice, New York University School of Law,2015).